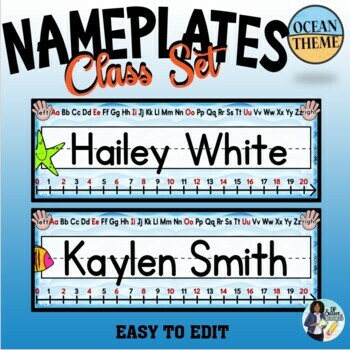 These nameplates are a fun addition to an ocean themed classroom. 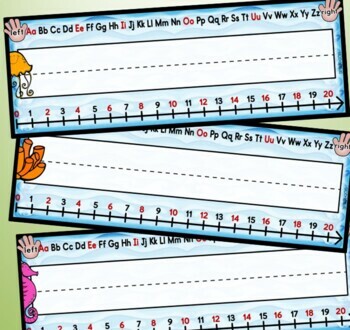 They feature 16 colorful designs and two different versions are included; with and without lines. 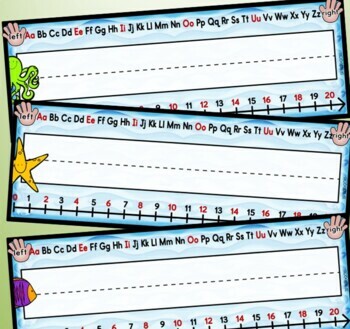 Each nameplate has a number and alphabet strip as well as left and right hand pictures.